July came with lots of fun and excitement, especially for those who enjoyed the World Cup Brazil this year. It was a great opportunity to get together with family and friends! Now that the game is over, it's time to get ready to read a new list of exciting and interesting features our developers have cooked for you! I am very happy to announce that this time I have for you not only one, but two highlighted features! Our users were begging for this important app for long time. Now this is a dream come true! Here is what you can get of this cool app! -You can grade the results of your submissions. Mobile users increase every day, that's why we've heard our users clamor! 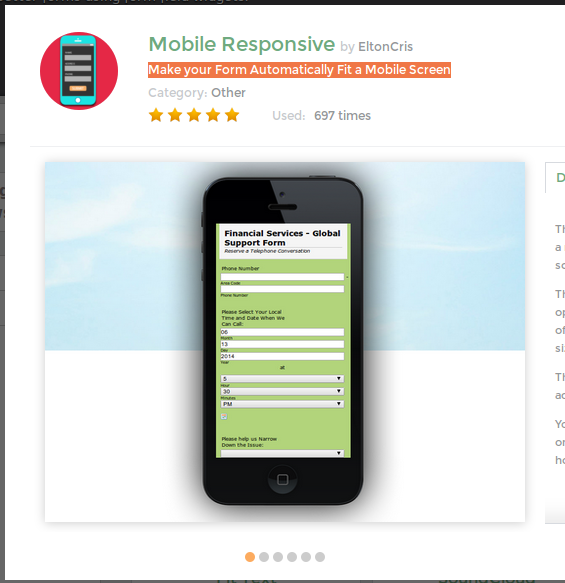 So with much pleasure we are introducing you with our Mobile Responsive Widget! Click on the image and test it! Manage your email list efficiently, send highly customizable HTML emails and more! 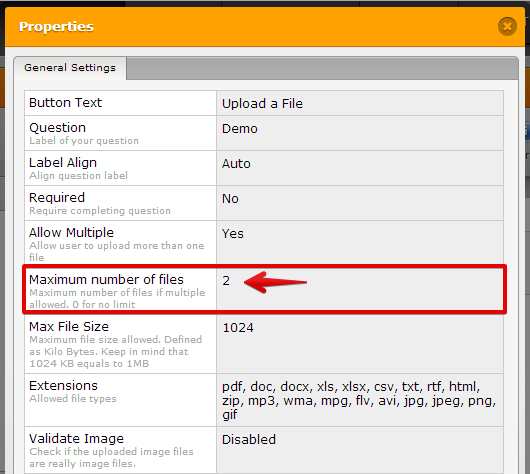 Upload File: Set a maximum number of files. Ever wanted to limit your users the number of files they can submit if multiple files are allowed? 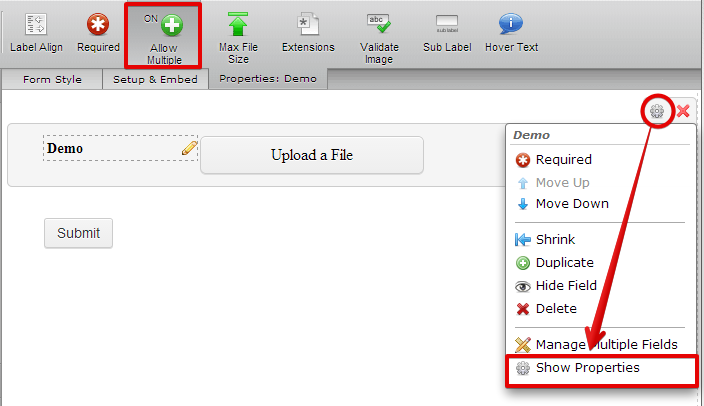 Just set up a Multiple Upload field , then go to Properties. ...and set the number at the General Settings. 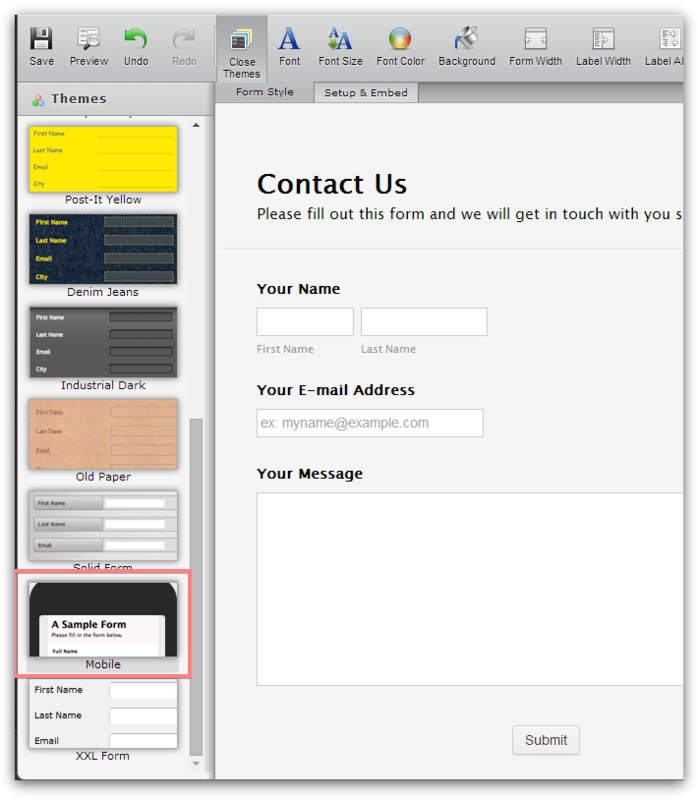 See how this new feature works on this demo form. We realized how annoying it was for our users to be switching between forms, every time someone needed to do any sort of comparisons between form submissions. No more hassle with that! Click on the dropdown and choose the form you wish to check to! 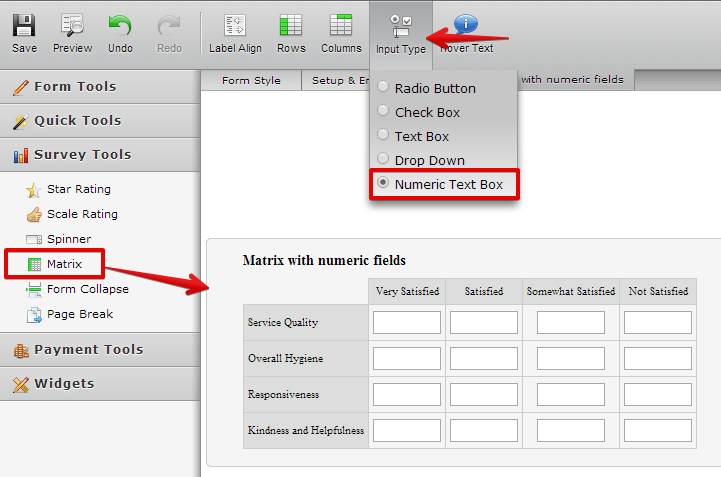 Add text boxes with numeric validation in your Matrix - Survey Tool! 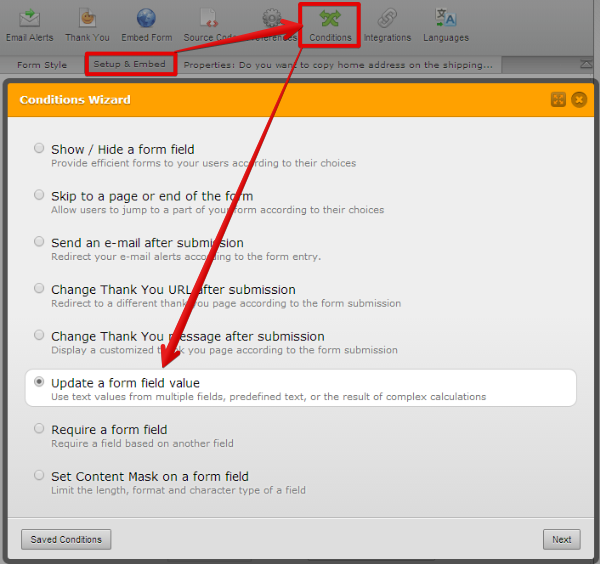 Sometimes we need to rename form field tags for styling or embedding purposes. This can be done easily now! Simply go to properties and double click on it! Show/Hide Multiple fields at once made easier! 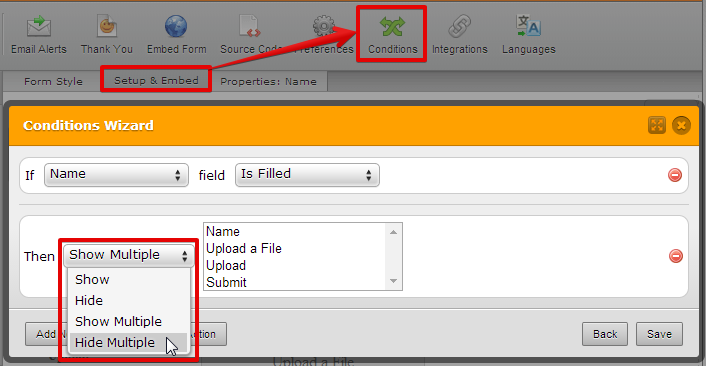 Just choose Show or Hide Multiple and hold Ctrl while selecting the desired fields. Conditional wizard will look this way. 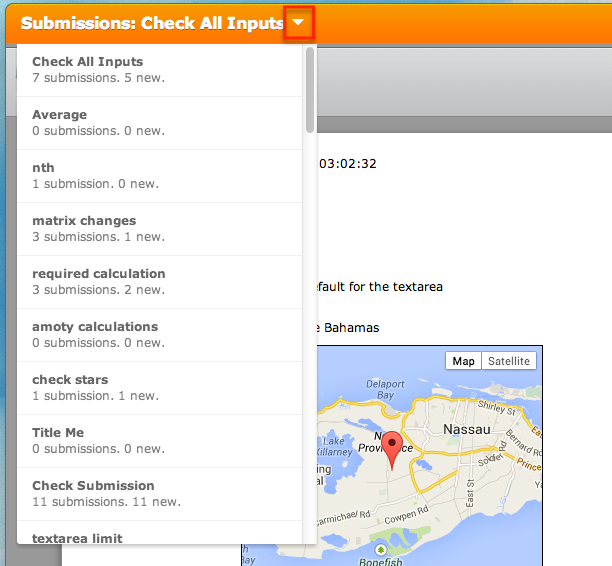 Text Areas and Email fields can now been used as results fields for insertion calculations! A fresh guide was added for further explanation! With this widget you'll get the power of keeping track of your inventory to your form. The widget allows you to update just how many items you have in stock - whether its tickets, subscriptions, small online stores - this is the widget you are looking for. Since each widget added to your form manages one item, you will have to add a widget for each item you have in stock. The widget also passes the quantity selected to a calculation field, which passes the value to a checkout system of your choice. Give the demo a spin and see the widget in action! This is one of our latest widgets, bringing the power of keeping track of your inventory to your form. For those in my mailing list, you should recall CHECK INPUT. Well, we renamed it as "PREVIEW BEFORE SUBMIT" to make it easier to find it. 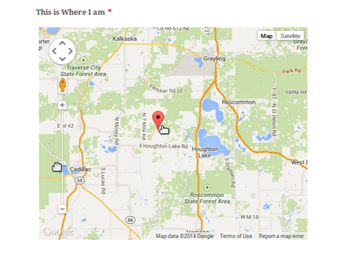 This cool widget helps your users select their location or address using an interactive map. Once the form has been opened, the widget loads a map on the form and tries to figure out where they are using their IP address location. 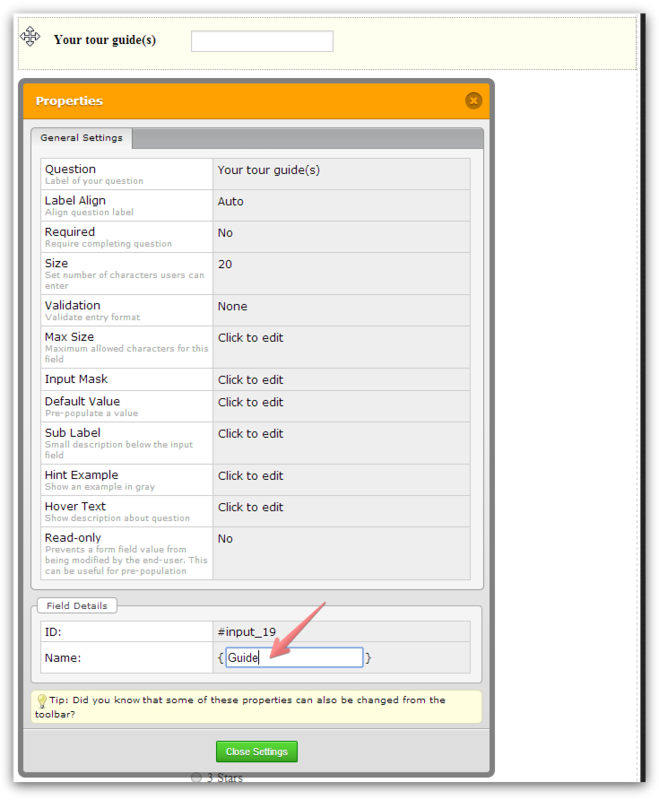 If the location is not spot-on, the user can then drag the marker across the map to the correct place and submit the form. Easy as Pie! 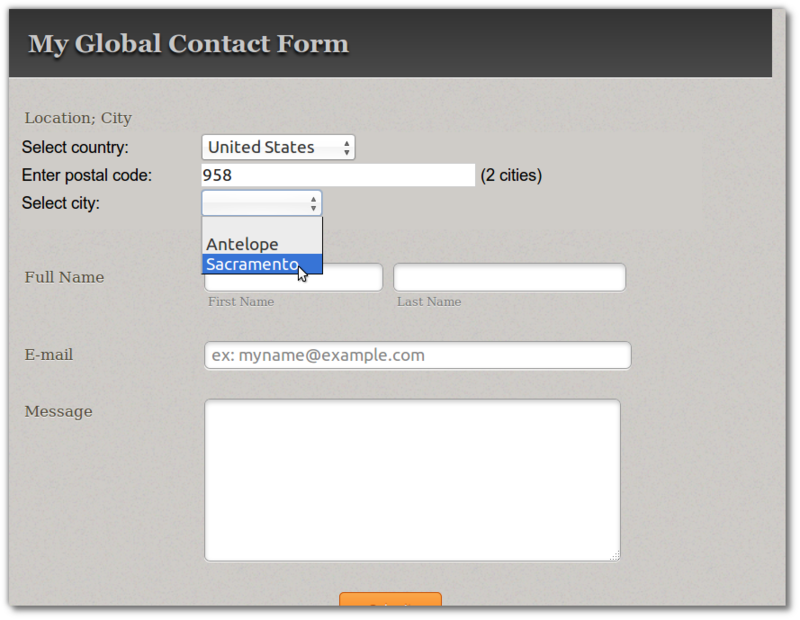 This cool widget lets your form users fill out their location by a postal code search. Want to find out more widgets? Please check the latest news here! 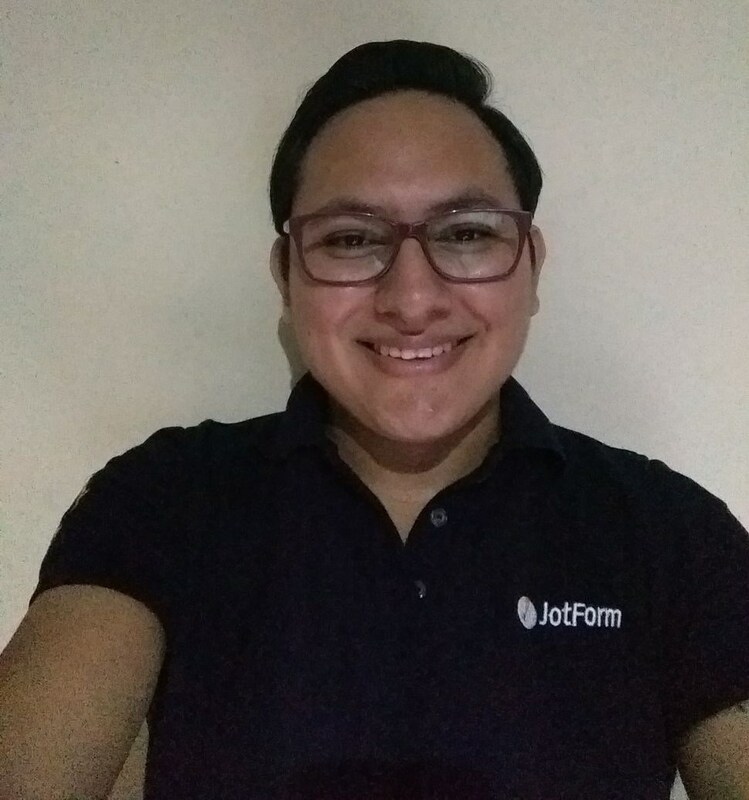 I'm very excited for the Quiz form app, it sounds great, specially for schools, universities and training centers. Also love the show/hide multiple fields. great features and great going guys! 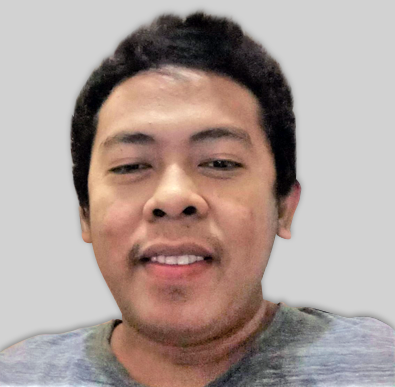 here I want to request the developer team to consider building a feature, that is very much required for my project. I need a "dynamic thank you page" that should work like the following. 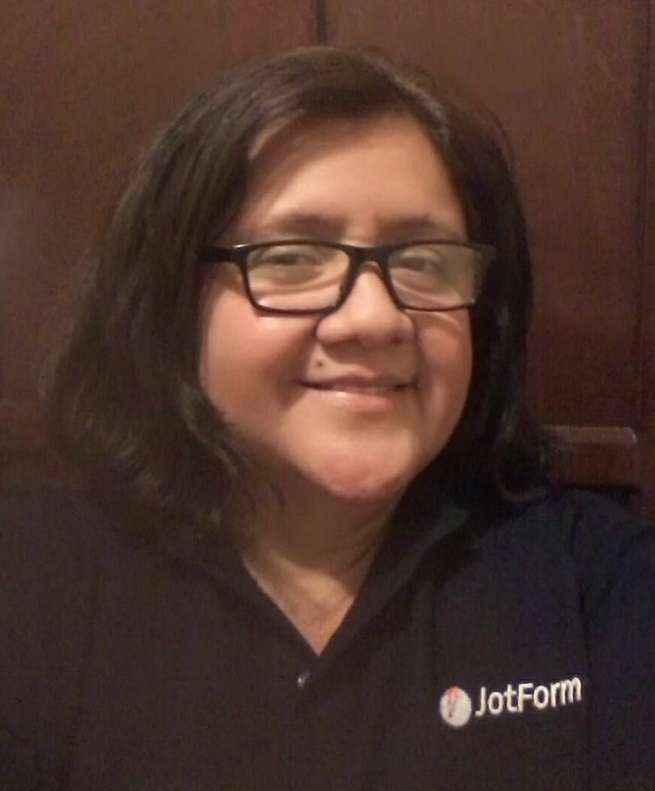 there has to be some option to select a part ( a text/image/html code) of "thank you page" and to change it dynamically based on users answer ( the way different custom thank you pages can be created in jotform). Let me explain the importance. suppose my custom text in "thank you page" should depend on 5 users answer each of which can have 5 different values. In that case, I have to make 5x5x5x5x5=3125 numbers of custom thank you page separately which is almost impossible. If this feature is available, the whole thing can be created easily with a dynamic thank you page by setting 5 areas separately for different answers. I moved your request to a new thread so that it can be addressed by our supporters. Thank you for your suggestion. Can you guys from Jotform increase the number of options of a dropdown list? I have a dropdown box that has almost 5 thousand options and it wouldn´t be appealing in terms of design if I create multiple dropdown boxes. I updated a form and now when I send via publish to clients it shows the link that is clicked on as NaN instead of the form link. How do I correct this?